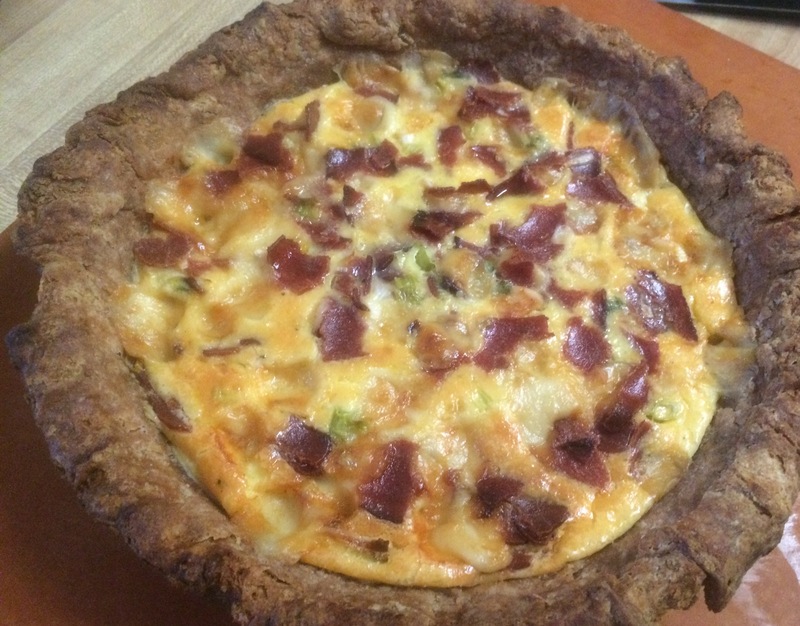 It was with fond memories that I made my former mother-in-law’s quiche lorraine. Win was a terrific woman, whom I was honored and blessed to have in my life. 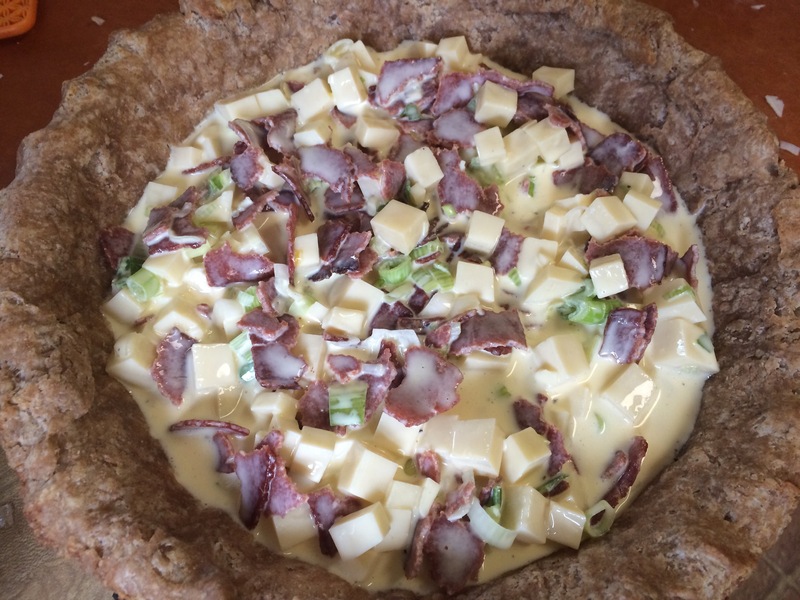 My daughters loved her quiche lorraine, but since I do not eat pork, it was a dish I wouldn’t make. 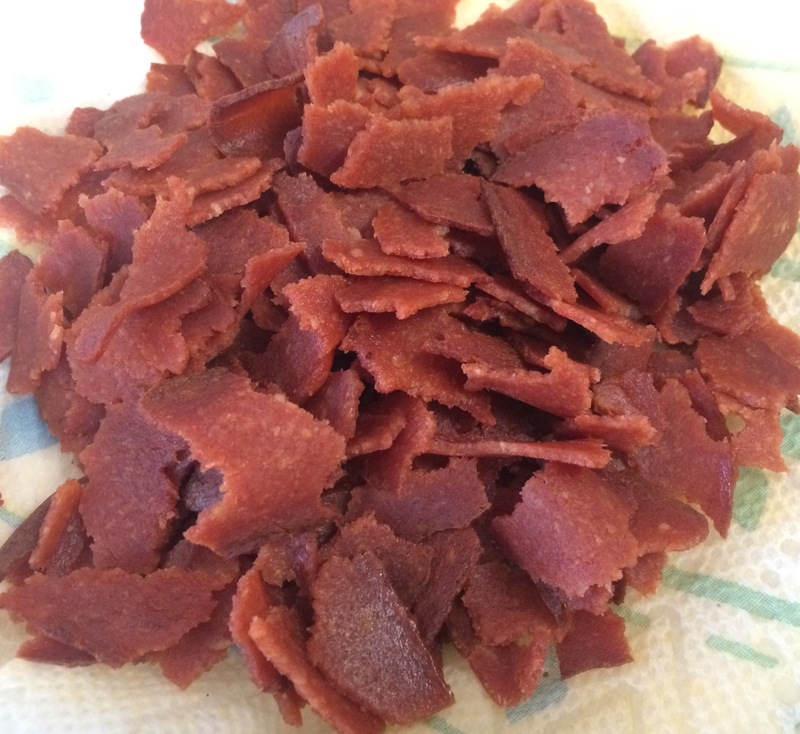 This week I decided to try making a kosher, vegetarian version, using vegan bacon. This was the first time I tried vegan bacon, while I wouldn’t use it as a stand alone as in eggs and bacon, but it worked quite well for making the quiche both kosher and vegetarian. It added the ‘bacon’ flavor and had a nice crisp texture. I also decided to make a whole wheat pie crust. And, voila!, here is my rustic version. You can’t tell from the looks of it but the crust was incredibly flaky and tasty. The recipe comes from YayYay’s Kitchen. 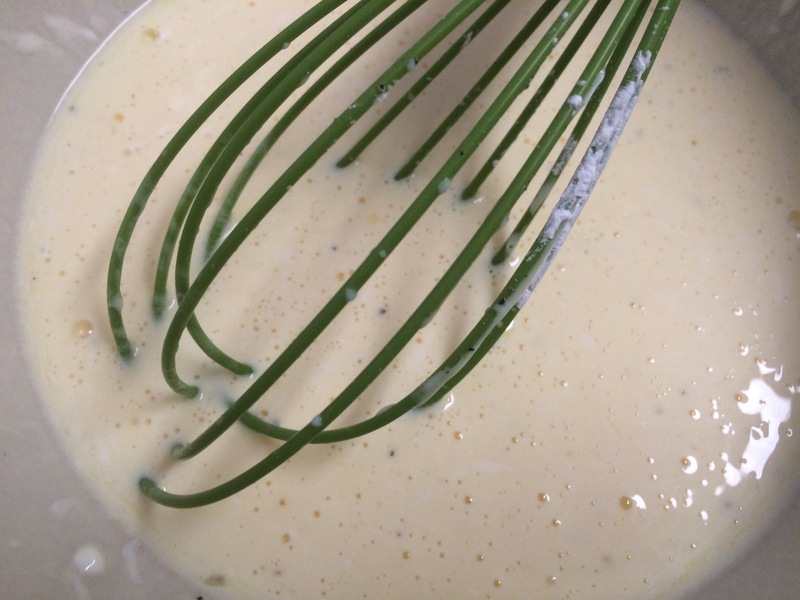 In a bowl mix eggs, milk, mayo, cornstarch and pepper. 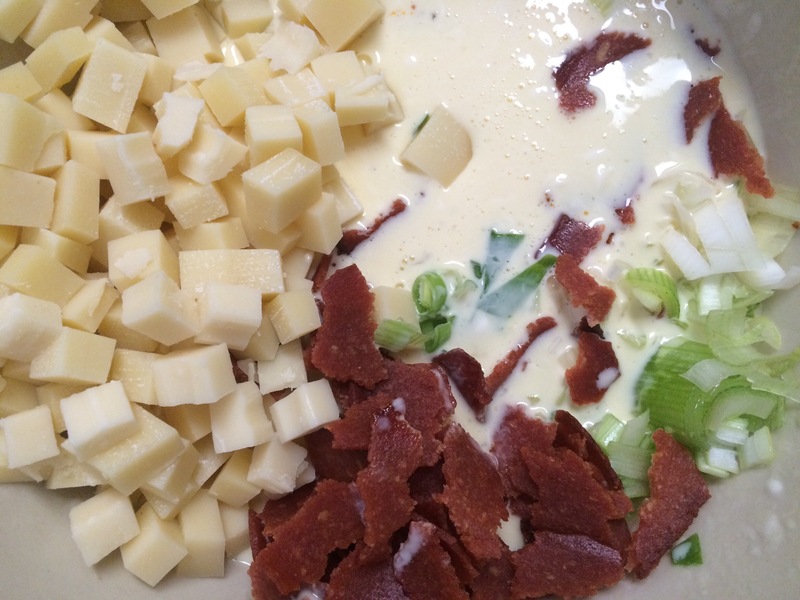 Add the bacon, onions and cheese. Bake for 35-45 minutes, until the center is golden brown. Allow to set for 10 minutes before cutting. Enjoy! I love rustic! Your pie looks scrumptious, and because I know that pastry recipe so well, I know just how it flakes off on the tongue. I’ve never tried vegan bacon, but I think I’ll see how it works in my next quiche. Thanks for sharing my crust with your readers. Thanks too, for sharing your memories and love for Win. It was a super crust! My son kept stealing the crust from everyone else’s piece. I know what you mean. I always think it tastes like cookies without the vanilla.